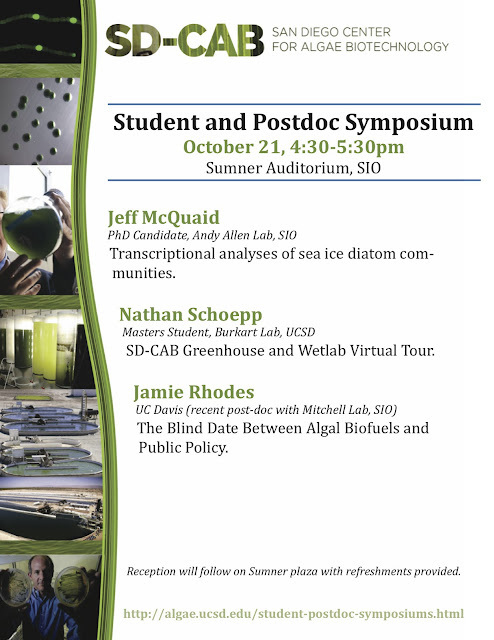 We would like to welcome you to the October SD-CAB Student and Postdoc Symposium. Drs. Greg Mitchell and Dominick Mendola, the chairmen for October's symposium, have three great speakers lined up. Please note the adjusted time. Presentations will, as usual, be followed by some lovely light refreshments, courtesy of Ms. Mary Anderson.